Masonry is a form of highly durable construction. Masonry can involve materials such as concrete, brick, stucco, and stone. Barrow’s masonry from Fayetteville GA has been working with these materials since starting its services in the 1990’s. The strength of masonry is usually credited to the workmanship. 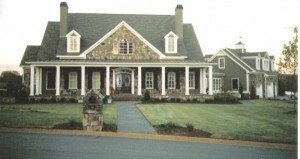 You won’t find better Masonry in Newnan, Fayetteville, Peachtree City, or even Atlanta. The skilled masons here at Barrow’s Masonry are experienced and customer service oriented. What are advantages to Masonry construction? Thermal Mass – bricks and stones will increase you building or facilities thermal mass. Thermal mass is a buildings fire resistance.